I made some cute baby shower gifts for a friend's brand new baby boy. 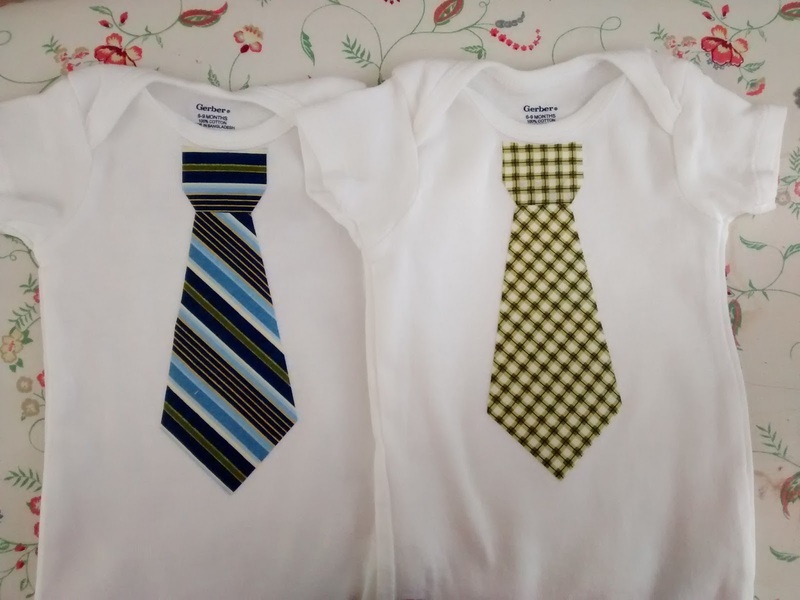 These necktie onesies are my go to gifts for baby boys. They are quick, inexpensive, always please the new mommy and the baby always looks so adorable in them. I love these for dressing up little ones because they are so much softer and comfortable than stiff, dressy clothes made for babies. Do you have any go to hand made baby gifts you like to give? I just went to a baby shower today and I thought I'd put my time working at my local Janome dealer to good use by embroidering my first onesie on one of the embroidery machines. Had the onesie, design on a usb stick, use of the machine, how hard could it be? Took me nearly all day (granted in between customers) to get the onesie hooped up properly! But now I think I've got it down! The tie onesies are fabulous! But we don't know what the mother will be having, so ties were out.